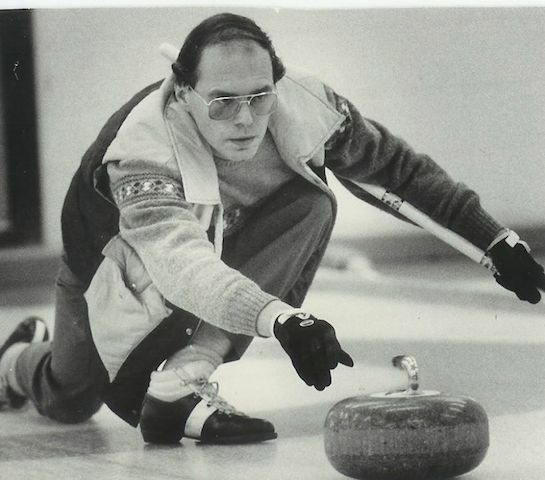 Jim Cotter is well known in Canadian curling circles for his precision shot-making on the ice. But a few weeks ago, he was wearing another curling hat: junior team coach and part of the organizing committee for the 14th Annual Prestige Hotels Rick Cotter Memorial Junior Classic in Vernon, B.C. We caught up with Cotter just before he left for Camrose, Alta., to compete in the Home Hardware Canada Cup of Curling, and he shared his thoughts on the spiel’s history and purpose, as well as its benefits to junior curlers and the curling community at large. 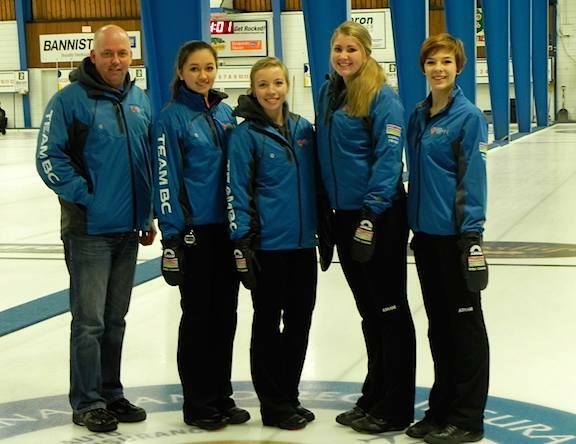 What’s the background of the junior spiel? After our father’s passing in 2005, the McArthur Island Curling Club renamed the spiel the Rick Cotter Memorial Junior Cashspiel and successfully ran the event until 2011. 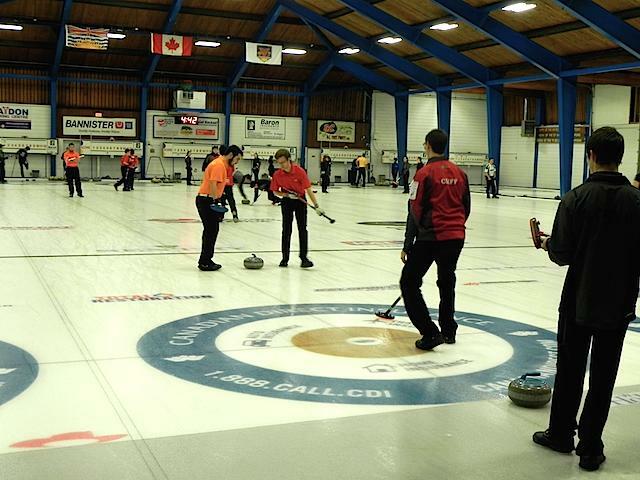 After not running for the past two years, the curling club asked us if we’d be willing to start it up again in Vernon, B.C. My sister, Chelan, and I instantly said yes. 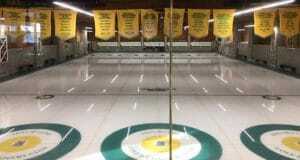 World-class icemaker Dave Merklinger and the Vernon Curling Club were thrilled about it and we hit the ground running. How did things go at the event this year? Chelan, the committee and the Vernon Curling Club really put on a great event. We hope to make it bigger and better for next year. Our goal was to create a championship-type event so when teams do compete they are familiar with some of the things that take place in major championships. And of course, events like this don’t happen without community support so a special thank-you to our sponsors. We had many businesses and people who stepped up to the plate to make this happen. It was also very exciting to have LIVE scoring on Curling Zone, provided by Gerry Geurts. This was a huge added bonus for those families and friends following along. The purse was $10,000 this year (with 12 boys teams and eight girls teams) but we hope to double that with 30-40 teams competing for $20,000 in 2015, and hopefully we’ll attract teams from all over Canada. We did have a Japanese junior boys team so I think that is our first International team in the 14-year history. What kind of feedback do you get from the kids? Parents? Coaches? The feedback we received was amazing, from the kids, coaches and parents who attended. 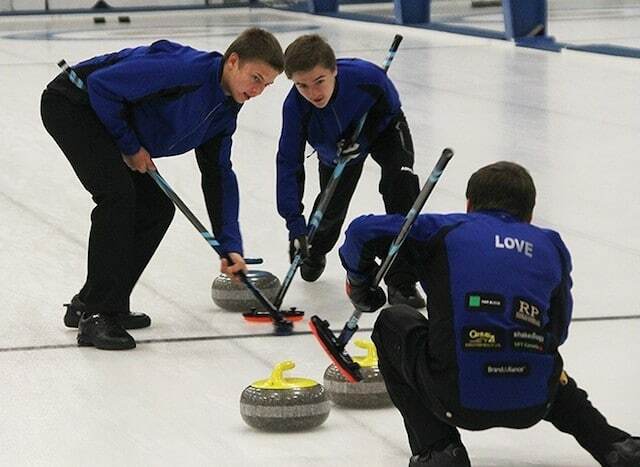 Our goal isn’t simply to create an event for junior curlers; it’s to create an event to meet their needs and to do the things that will best prepare them for higher-level competition, so we are always open to suggestions and ideas because they know best. Ultimately, it’s about the kids, so we rely on their feedback to make it better in the future. You’re not only an elite curler, you’re a coach, too. How’s that going? I coach my daughter’s team and it’s a blast. All four are great kids with a lot of passion for the game. They’ve competed in the juvenile playdowns since they were 12. Curling is a great team game and it’s my responsibility as a coach to prepare these kids, not only to be a good curling team, but (also to develop) life skills that will hopefully benefit them in other areas of their young lives. Parents coaching their own kids – what are your thoughts on that? Coaching your own child can be challenging at times, but I learned a lot from my dad as he coached me during my entire junior career. He showed me no favoritism and maybe was a bit harder on me than others, but I liked that. I try and do the same but it’s tricky at times to find that balance. I do my best to treat everyone equal and with respect. You’re juggling a lot of curling stuff – how do you do it? We, as kids, learned young from our parents, Rick and Pat. It’s not what you can take from the game; it’s what you can give back. I’ve spent a lot of my curling career participating in events so I feel as though it’s only fitting to give back to the game I love so much. How you do it, you ask? As much as the kids tell me I inspire them to do better, they, little do they know, inspire me to be better. To see them smile, work hard and dedicate themselves the way they do, you just find the time. How’s your own team doing, and what are your expectations for the season? The only expectation we have with our team is that we just want to get better every time we step on the ice. It’s not about winning or losing, it’s about dedication to the team, working hard and always talking about how we can be better, what works, what doesn’t etc. When you do those things, the result just takes care of itself. What’s the benefit of being involved in so many aspects of the curling life? The benefit, I hope, is that the game will grow, and friendships and even friendly rivalries will be created in our local area and the rest of Canada, for that matter. 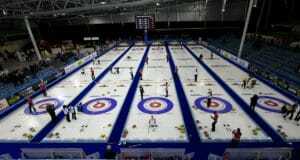 Kids have a huge opportunity with the Scotties, Brier and Olympic process as they progress in their curling careers. How many sports can you play from age five to 100 years old? How many people from all walks (of life) would you meet in that span? Many of my lifelong friendships, my banker, mortgage broker, builder (house), my career and many others contacts have all stemmed from curling. These are all people I trust and have known for a long time. 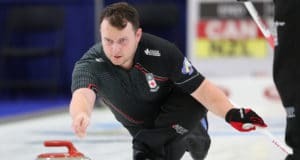 Some results – Tyler Tardi grounded Japan’s Minato Hayamizu 6-1 to claim the A Final of the 14th Annual Rick Cotter Memorial Junior Classic at the Vernon Curling Club. Tardi, supported by Jordan Tardi, Nicholas Meister and Zachary Umbach, collected deuces in the second, fifth and sixth ends to earn early handshakes and $2,000. 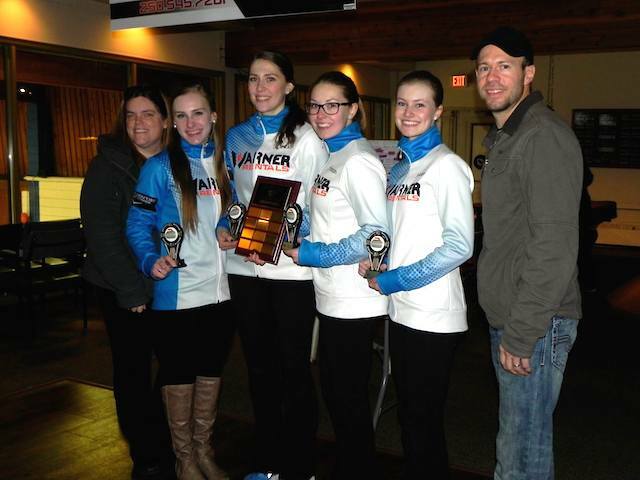 Winners of this year’s Girls event was the 2013 Canadian Junior Women’s team consisting of Corryn Brown, Erin Pincott, Samantha Fisher and Sydney Fraser. (This team) played in the spiel back in Kamloops. I remember, they were just little girls (11 years old maybe) with big smiles, losing by large margins. They didn’t care about the score; they were just having fun. They went from looking up to the older kids to, now, all the kids looking to them as role models. They stuck with it and a few years later are national champions. 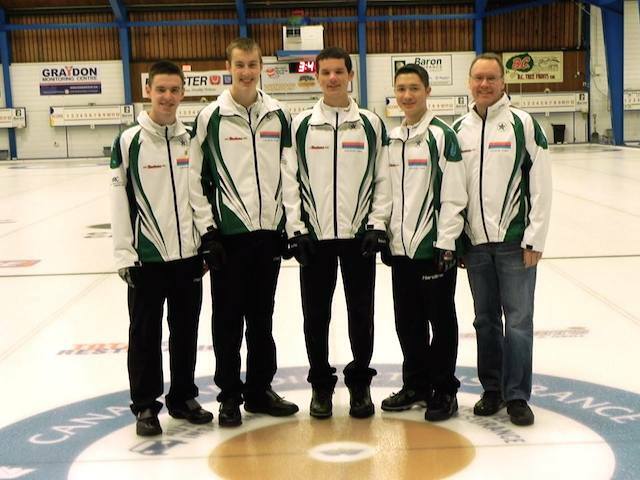 For more information about the 14th Annual Prestige Hotels Rick Cotter Memorial Junior Spiel, here’s a link to this year’s teams and draw. Click here for the write-up in the Vernon Morning Star. Want to know more about this event or enter a team in the 2015 event? Check out the Rick Cotter Memorial Junior Classic on Facebook, or contact Jim Cotter at [email protected].